For example, the pioneering works of Adam Smith in the eighteenth century showed the usefulness and dynamism of the market economy, and why—and particularly how—that dynamism worked. Smith’s investigation provided an illuminating diagnosis of the workings of the market just when that dynamism was powerfully emerging. 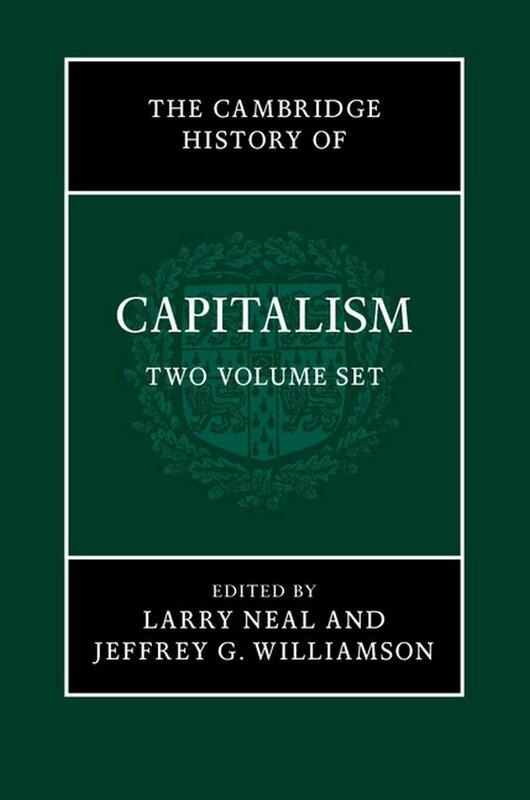 The contribution that The Wealth of Nations, published in 1776, made to the understanding of what came to be called capitalism was monumental. Smith showed how the freeing of trade can very often be extremely helpful in generating economic prosperity through specialization in production and division of labor and in making good use of economies of large scale. Those lessons remain deeply relevant even today (it is interesting that the impressive and highly sophisticated analytical work on international trade for which Paul Krugman received the latest Nobel award in economics was closely linked to Smith’s far-reaching insights of more than 230 years ago). The economic analyses that followed those early expositions of markets and the use of capital in the eighteenth century have succeeded in solidly establishing the market system in the corpus of mainstream economics. It is also worth mentioning in this context, especially since the “welfare state” emerged long after Smith’s own time, that in his various writings, his overwhelming concern—and worry—about the fate of the poor and the disadvantaged are strikingly prominent. The most immediate failure of the market mechanism lies in the things that the market leaves undone. Smith’s economic analysis went well beyond leaving everything to the invisible hand of the market mechanism. He was not only a defender of the role of the state in providing public services, such as education, and in poverty relief (along with demanding greater freedom for the indigents who received support than the Poor Laws of his day provided), he was also deeply concerned about the inequality and poverty that might survive in an otherwise successful market economy. Lack of clarity about the distinction between the necessity and sufficiency of the market has been responsible for some misunderstandings of Smith’s assessment of the market mechanism by many who would claim to be his followers. For example, Smith’s defense of the food market and his criticism of restrictions by the state on the private trade in food grains have often been interpreted as arguing that any state interference would necessarily make hunger and starvation worse. But Smith’s defense of private trade only took the form of disputing the belief that stopping trade in food would reduce the burden of hunger. That does not deny in any way the need for state action to supplement the operations of the market by creating jobs and incomes (e.g., through work programs). If unemployment were to increase sharply thanks to bad economic circumstances or bad public policy, the market would not, on its own, recreate the incomes of those who have lost their jobs. The new unemployed, Smith wrote, “would either starve, or be driven to seek a subsistence either by begging, or by the perpetration perhaps of the greatest enormities,” and “want, famine, and mortality would immediately prevail….” Smith rejects interventions that exclude the market—but not interventions that include the market while aiming to do those important things that the market may leave undone. Smith viewed markets and capital as doing good work within their own sphere, but first, they required support from other institutions—including public services such as schools—and values other than pure profit seeking, and second, they needed restraint and correction by still other institutions—e.g., well-devised financial regulations and state assistance to the poor—for preventing instability, inequity, and injustice. If we were to look for a new approach to the organization of economic activity that included a pragmatic choice of a variety of public services and well-considered regulations, we would be following rather than departing from the agenda of reform that Smith outlined as he both defended and criticized capitalism. Historically, capitalism did not emerge until new systems of law and economic practice protected property rights and made an economy based on ownership workable. Commercial exchange could not effectively take place until business morality made contractual behavior sustainable and inexpensive—not requiring constant suing of defaulting contractors, for example. Investment in productive businesses could not flourish until the higher rewards from corruption had been moderated. Profit-oriented capitalism has always drawn on support from other institutional values. The moral and legal obligations and responsibilities associated with transactions have in recent years become much harder to trace, thanks to the rapid development of secondary markets involving derivatives and other financial instruments. A subprime lender who misleads a borrower into taking unwise risks can now pass off the financial assets to third parties—who are remote from the original transaction. Accountability has been badly undermined, and the need for supervision and regulation has become much stronger. And yet the supervisory role of government in the United States in particular has been, over the same period, sharply curtailed, fed by an increasing belief in the self-regulatory nature of the market economy. Precisely as the need for state surveillance grew, the needed supervision shrank. There was, as a result, a disaster waiting to happen, which did eventually happen last year, and this has certainly contributed a great deal to the financial crisis that is plaguing the world today. The insufficient regulation of financial activities has implications not only for illegitimate practices, but also for a tendency toward overspeculation that, as Adam Smith argued, tends to grip many human beings in their breathless search for profits. A great part of the capital of the country would thus be kept out of the hands which were most likely to make a profitable and advantageous use of it, and thrown into those which were most likely to waste and destroy it. The implicit faith in the ability of the market economy to correct itself, which is largely responsible for the removal of established regulations in the United States, tended to ignore the activities of prodigals and projectors in a way that would have shocked Adam Smith. The present economic crisis is partly generated by a huge overestimation of the wisdom of market processes, and the crisis is now being exacerbated by anxiety and lack of trust in the financial market and in businesses in general—responses that have been evident in the market reactions to the sequence of stimulus plans, including the $787 billion plan signed into law in February by the new Obama administration. As it happens, these problems were already identified in the eighteenth century by Smith, even though they have been neglected by those who have been in authority in recent years, especially in the United States, and who have been busy citing Adam Smith in support of the unfettered market. While Adam Smith has recently been much quoted, even if not much read, there has been a huge revival, even more recently, of John Maynard Keynes. Certainly, the cumulative downturn that we are observing right now, which is edging us closer to a depression, has clear Keynesian features; the reduced incomes of one group of persons has led to reduced purchases by them, in turn causing a further reduction in the income of others. variations in the tone of mind of persons whose action controls industry, emerging in errors of undue optimism or undue pessimism in their business forecasts. Hence, other things being equal, the actual occurrence of business failures will be more or less widespread, according [to whether] bankers’ loans, in the face of crisis of demands, are less or more readily obtainable. Despite huge injections of fresh liquidity into the American and European economies, largely from the government, the banks and financial institutions have until now remained unwilling to unfreeze the credit market. Other businesses also continue to fail, partly in response to already diminished demand (the Keynesian “multiplier” process), but also in response to fear of even less demand in the future, in a climate of general gloom (the Pigovian process of infectious pessimism). One of the problems that the Obama administration has to deal with is that the real crisis, arising from financial mismanagement and other transgressions, has become many times magnified by a psychological collapse. The measures that are being discussed right now in Washington and elsewhere to regenerate the credit market include bailouts—with firm requirements that subsidized financial institutions actually lend—government purchase of toxic assets, insurance against failure to repay loans, and bank nationalization. (The last proposal scares many conservatives just as private control of the public money given to the banks worries people concerned about accountability.) As the weak response of the market to the administration’s measures so far suggests, each of these policies would have to be assessed partly for their impact on the psychology of businesses and consumers, particularly in America. The contrast between Pigou and Keynes is relevant for another reason as well. While Keynes was very involved with the question of how to increase aggregate income, he was relatively less engaged in analyzing problems of unequal distribution of wealth and of social welfare. In contrast, Pigou not only wrote the classic study of welfare economics, but he also pioneered the measurement of economic inequality as a major indicator for economic assessment and policy. Since the suffering of the most deprived people in each economy—and in the world—demands the most urgent attention, the role of supportive cooperation between business and government cannot stop only with mutually coordinated expansion of an economy. There is a critical need for paying special attention to the underdogs of society in planning a response to the current crisis, and in going beyond measures to produce general economic expansion. Families threatened with unemployment, with lack of medical care, and with social as well as economic deprivation have been hit particularly hard. The limitations of Keynesian economics to address their problems demand much greater recognition. A third way in which Keynes needs to be supplemented concerns his relative neglect of social services—indeed even Otto von Bismarck had more to say on this subject than Keynes. That the market economy can be particularly bad in delivering public goods (such as education and health care) has been discussed by some of the leading economists of our time, including Paul Samuelson and Kenneth Arrow. (Pigou too contributed to this subject with his emphasis on the “external effects” of market transactions, where the gains and losses are not confined only to the direct buyers or sellers.) This is, of course, a long-term issue, but it is worth noting in addition that the bite of a downturn can be much fiercer when health care in particular is not guaranteed for all. For example, in the absence of a national health service, every lost job can produce a larger exclusion from essential health care, because of loss of income or loss of employment-related private health insurance. The US has a 7.6 percent rate of unemployment now, which is beginning to cause huge deprivation. It is worth asking how the European countries, including France, Italy, and Spain, that lived with much higher levels of unemployment for decades, managed to avoid a total collapse of their quality of life. The answer is partly the way the European welfare state operates, with much stronger unemployment insurance than in America and, even more importantly, with basic medical services provided to all by the state. The failure of the market mechanism to provide health care for all has been flagrant, most noticeably in the United States, but also in the sharp halt in the progress of health and longevity in China following its abolition of universal health coverage in 1979. Before the economic reforms of that year, every Chinese citizen had guaranteed health care provided by the state or the cooperatives, even if at a rather basic level. When China removed its counterproductive system of agricultural collectives and communes and industrial units managed by bureaucracies, it thereby made the rate of growth of gross domestic product go up faster than anywhere else in the world. But at the same time, led by its new faith in the market economy, China also abolished the system of universal health care; and, after the reforms of 1979, health insurance had to be bought by individuals (except in some relatively rare cases in which the state or some big firms provide them to their employees and dependents). With this change, China’s rapid progress in longevity sharply slowed down. This was problem enough when China’s aggregate income was growing extremely fast, but it is bound to become a much bigger problem when the Chinese economy decelerates sharply, as it is currently doing. The Chinese government is now trying hard to gradually reintroduce health insurance for all, and the US government under Obama is also committed to making health coverage universal. In both China and the US, the rectifications have far to go, but they should be central elements in tackling the economic crisis, as well as in achieving long-term transformation of the two societies. The revival of Keynes has much to contribute both to economic analysis and to policy, but the net has to be cast much wider. Even though Keynes is often seen as a kind of a “rebel” figure in contemporary economics, the fact is that he came close to being the guru of a new capitalism, who focused on trying to stabilize the fluctuations of the market economy (and then again with relatively little attention to the psychological causes of business fluctuations). Even though Smith and Pigou have the reputation of being rather conservative economists, many of the deep insights about the importance of nonmarket institutions and nonprofit values came from them, rather than from Keynes and his followers. A crisis not only presents an immediate challenge that has to be faced. It also provides an opportunity to address long-term problems when people are willing to reconsider established conventions. This is why the present crisis also makes it important to face the neglected long-term issues like conservation of the environment and national health care, as well as the need for public transport, which has been very badly neglected in the last few decades and is also so far sidelined—as I write this article—even in the initial policies announced by the Obama administration. Economic affordability is, of course, an issue, but as the example of the Indian state of Kerala shows, it is possible to have state-guaranteed health care for all at relatively little cost. Since the Chinese dropped universal health insurance in 1979, Kerala—which continues to have it—has very substantially overtaken China in average life expectancy and in indicators such as infant mortality, despite having a much lower level of per capita income. So there are opportunities for poor countries as well. But the largest challenges face the United States, which already has the highest level of per capita expenditure on health among all countries in the world, but still has a relatively low achievement in health and has more than forty million people with no guarantee of health care. Part of the problem here is one of public attitude and understanding. Hugely distorted perceptions of how a national health service works need to be corrected through public discussion. For example, it is common to assume that no one has a choice of doctors in a European national health service, which is not at all the case. There is, however, also a need for better understanding of the options that exist. In US discussions of health reform, there has been an overconcentration on the Canadian system—a system of public health care that makes it very hard to have private medical care—whereas in Western Europe the national health services provide care for all but also allow, in addition to state coverage, private practice and private health insurance, for those who have the money and want to spend it this way. It is not clear just why the rich who can freely spend money on yachts and other luxury goods should not be allowed to spend it on MRIs or CT scans instead. If we take our cue from Adam Smith’s arguments for a diversity of institutions, and for accommodating a variety of motivations, there are practical measures we can take that would make a huge difference to the world in which we live. The present economic crises do not, I would argue, call for a “new capitalism,” but they do demand a new understanding of older ideas, such as those of Smith and, nearer our time, of Pigou, many of which have been sadly neglected. What is also needed is a clearheaded perception of how different institutions actually work, and of how a variety of organizations—from the market to the institutions of the state—can go beyond short-term solutions and contribute to producing a more decent economic world. Adam Smith, An Inquiry into the Nature and Causes of the Wealth of Nations, edited by R.H. Campbell and A.S. Skinner (Clarendon Press, 1976), I, II.ii.28, p. 292. Smith, The Wealth of Nations, I, I.viii.26, p. 91. Adam Smith, The Theory of Moral Sentiments, edited by D.D. Raphael and A.L. Macfie (Clarendon Press, 1976), pp. 189–190. Smith, The Wealth of Nations, I, II.iv.15, p. 357. A.C. Pigou, Industrial Fluctuations (London: Macmillan, 1929), p. 73. Pigou, Industrial Fluctuations, p. 96. A.C. Pigou, The Economics of Welfare (London: Macmillan, 1920). Current works on economic inequality, including the major contributions of A.B. Atkinson, have been to a considerable extent inspired by Pigou’s pioneering initiative: see Atkinson, Social Justice and Public Policy (MIT Press, 1983).